I’m not sure if or where we will able to travel to this year, but I’m hoping we’ll have enough saved away to do a vacation to the west coast. I have technically been to the west before – I was in the San Francisco airport for a very long layover when flying back from Japan a few years ago, but that’s about my extent of “visiting” the other side of the country. If we do get to go on vacation this year, it will probably have to be in the fall or winter. We’re hoping we can go away for a little for our first year anniversary to Mexico, again, but that will all depend on my work and if that can be arranged or not. If we do or don’t go away to Mexico in May, I think we still need some time to save a little so that’s why traveling later in the year would be better. I probably thought of this city first because of Grey’s Anatomy. Of course, I shouldn’t want to visit somewhere because of a TV show, but Grey’s last week was FINALLY good this season so I guess that’s what made me think of Seattle first. For a fall/winter vacation, it seems like visiting a downtown city makes more sense since we won’t be looking for a beach. I’ve always wanted to visit the Space Needle and when researching the Seattle visitor website, it also listed the Pike Place Market as somewhere to check out (where the original Starbucks is and tons of restaurants, shops, handmade crafts, etc). The reviews on TripAdvisor list Ride the Ducks of Seattle as something to check out – this seems pretty similar to the Boston Duck Tours, which is worth doing once (and only once). I was surprised to find that the fee to get into the aquarium is only $19 per adult which seems very cheap to what Boston is charging these days. Also when on the aquarium’s website, I found that Seattle has a CityPass which is $59 per person for 6 attractions. My sister did something like this when she visited Atlanta and said it saved a lot of money. The Seattle CityPass includes admission to the Seattle Aquarium, Argosy Cruises Seattle Harbor Tour, Seattle Space Needle, Pacific Science Center, Woodland Park Zoo and the Museum of Flight OR Experience Music Project/Science Fiction Museum. This definitely seems like the way to go since I did want to check out most of those places anyway. And, of course, I had to check out to see which breweries are nearby. Pyramid Breweries has an apricot ale year-round that sounds pretty amazing. Only thing is they have a restaurant but no brewery tour? Moving on, I know we would want to check out Red Hook since we love their other brewery location in Portsmouth. I am a fan of their Blonde Golden Ale. Everyone on Yelp is recommending the Georgetown Brewing Company and their Manny’s Pale Ale but I couldn’t find any information about tours on their website. When I was on TripAdvisor, I started looking at hotels downtown first. Seattle has all the typical hotel chains so it would be just a matter of choosing which is the most reasonable when we do decide to go. Then I thought of how good a time we had in Portsmouth last week, so I began researching saw some B&B’s and inns and came across this place. The Chelsea Station Inn looks like a cool place to stay because it’s not your typical B&B. Their website says it’s close to the airport and only a 10 minute drive from downtown. Their location is also close to the zoo, but I don’t know if that’s something we would consider visiting or not. It seems very modern and the descriptions of their suites make them seem like apartments instead of just typical rooms. I compared their prices in August to November and they would probably be in our budget for November. But then I realized I had no idea what the weather will be like in November and found out that Seattle’s major rainy season is from late October until March. Yuck. I hate rain because I can never have a good hair day, wet jeans and socks are one of my pet peeves, and it always gets either humid or cold after it rains and those weather conditions just make for a very unhappy me. I thought of this more and decided if we did do Seattle, we really need to do visit in the summer or early fall and I just don’t think that would work this year. If we visited earlier, it would also give us the chance to catch a Seattle Mariners game. One of our goals is to visit every ballpark in America, so that would be one more to cross off the list. Now I’m thinking somewhere in California would make more sense for a late fall trip…or maybe I need to find a city that doesn’t have any ballparks there so we can definitely visit in winter? I guess hubby and I need to discuss if our goal is to watch a game at every park or if just doing a tour will count, as this will probably have an impact on where we go later this year. If you did travel to the west coast, especially CA, you could cross off the west coast trip and wine tasting--haha. Love it! 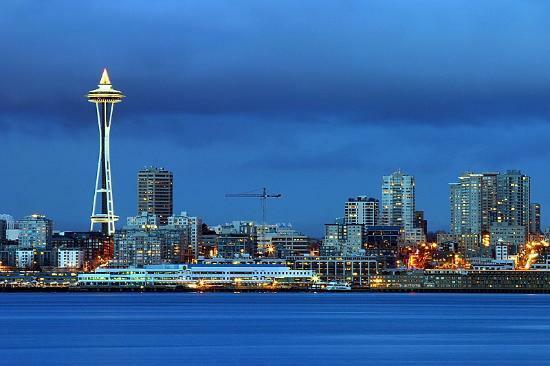 If you want to go to Seattle you should think about going to Alaska with us and we can spend extra time in Seattle. And I totally remember that long delay in the airport on the way home from Japan. The only thing we really go to see there was the airport gift store--haha. Yeah, we are thinking about San Francisco and San Diego, too...or a cruise to Alaska would be awesome - everyone I know who has done one out there has raved about how cool it is!